It seems twee now but there was a time, not too long ago either, when 'hype' was unmasked annually as the saboteur of Dublin's All-Ireland SFC dreams. As a sporting narrative, it worked perfectly. Firstly, hype is intangible, so you couldn't prove that it didn't exist. And secondly, Dublin kept not winning the All-Ireland - ergo, repeated victims of hype. Quite when Dublin won their generation-long war with hype is difficult to put a precise date on but now, as they sit on the cusp of a summer that could end with them equalling the record for the number of All-Ireland football titles won by a team in succession, no-one talks about hype any more. Perhaps it was simply slayed in 2011 when the capital's yearning for Sam Maguire was sated. Or maybe it's because those on the inside of the group deliberately refused to feed the hype. Time was, everyone used to talk about how Dublin needed an All-Ireland or even - for an odd and brief period - how 'it would be great for the GAA' if Dublin won one. Now, talk of All-Irelands by Dublin players and management is reserved for those formulaic interviews they conduct in advance of All-Ireland finals. Even when they're reigning All-Ireland champions. "If you're not focused on the game, it's not going to help so thinking of anything out of your control like three months down the line isn't going to be useful." Mostly though, Dublin wear their success lightly even if there was a moment last September that many took to indicate that their run of glory had gone far enough. Others interpreted it that success had now become so ubiquitous in their company, they were having a hard time keeping track. As Joanne Cantwell spoke to the soon-to-be-confirmed Man of the Match James McCarthy on the pitch after last year's All-Ireland final celebrations, the RTÉ camera zoomed to various exchanges between delighted Dublin players nearby. In a flash, it picked up Diarmuid Connolly mouthing 'four' to Paul Flynn, eyes wide at magnitude of the pair's achievements since 2011. That expression was replaced with an even greater smile when Flynn corrected Connolly, informing him they'd actually just won their fifth All-Ireland. 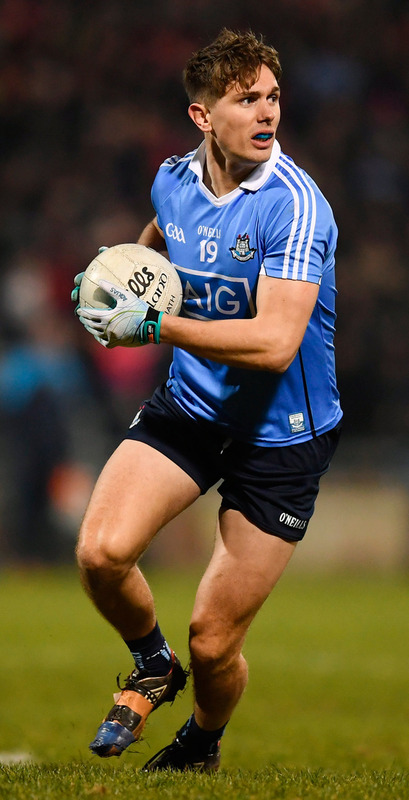 For Fitzsimons - another five-time medallist - the exchange was just proof that while the football world rolls their eyes every time one of the Dublin squad or management preaches the value of addressing each match in isolation and order, it underpins what the group do and how they do it. "I think you would have seen Paul Flynn and Diarmuid Connolly after that game counting how many they won, you don't really take stock of anything like that until maybe moments like that after the game," he points out. "It's not something we just roll out to journalists just to fob off questions. Genuinely when you're training you're just looking to the next game and your form in that, that's all you can really control, your form in that. "If you start looking ahead into the distance or just looking into the past you can just take away from the performance a bit. "It took a while for it to seep in but lads naturally enough do that now." It helps, he points out, that the Dublin underage coaching structure has produced some determined and talented additions to the squad in each of the past three years, men for whom the squad's past glories are useless. "We used to do coaching in some of the underage camps," Fitzsimons explains. "Not that we had any impact on their development, but you got a little snapshot of it and you built a little bit of rapport with them for two or three weeks over summer and then you eventually play with them, it's great," added the Cuala clubman. "They keep everyone on their toes and no one's complacent." And injuries aside, the well-being of the group seems vibrant just now as they prepare to roll the dice again. Winning the League was, according to Fitzsimons, "a big thing for us after losing last year." "To get back and get to a national final and get a great game in Croke Park against Galway ... huge learning, as in the tough games against Galway and Monaghan beat us by a point, so individually and as a team we learned a lot from it."